Revenue’s USC Guide is now 38 pages long! Clarification on the application of the USC to medical card holders. How the USC is calculated for self-employed high earners who also have PAYE income. How the USC affects over 65’s with DIRT-exempt interest earnings. What I find most interesting about the FAQ is the fact that it now extends to a mind-boggling 39 pages! 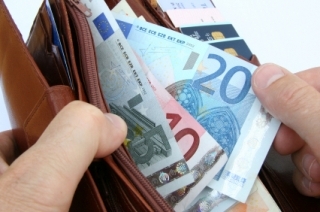 When former Minister Brian Lenihan introduced the USC in his Budget Speech last December, he said he wanted “to move steadily in the direction of an income tax system that is fair, universal in its application and more easily understood”. Three months later, with Mr. Lenihan is out of office, the ‘easily understood’ USC is proving so complicated that it now warrants a 38-page Revenue document to explain how it works in practice. This fact alone would suggest to me that the USC has been an abject failure. In fact, I believe that much of the current public resentment about the USC stems from the fact that people just don’t understand it. The new Minister, Michael Noonan, and his officials should scrap the USC, and adjust income tax rates and credits in order to achieve the same outcome.